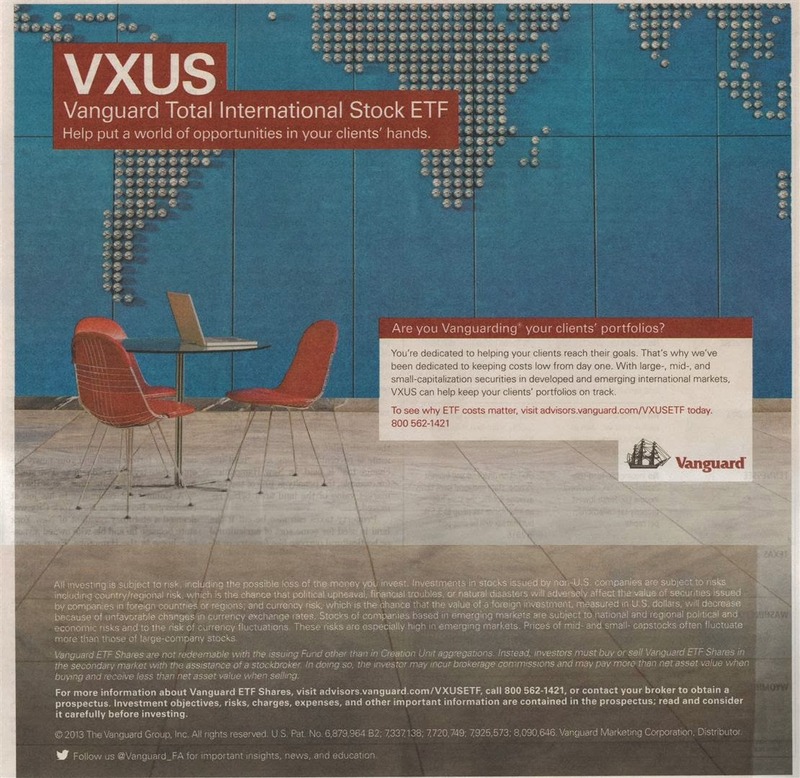 This Vanguard Total International Stock ETF fund uses passively managed, index replication approach. It seeks to track the performance of the FTSE Global All Cap ex US Index, which measures the investment return of stocks issued by companies located outside the United States. This ETF fund has no Morningstar rating yet, because the fund has just been incepted in 2011. It has $2.21 billion of total net assets. The yield is 3.17%. The annual expense ratio (0.16%) is 87% lower than the average ratio with similar holdings. The fund is currently traded at premium 0.31% from its NAV. This international stock fund employs Spliced Total International Stock Index as the benchmark. It has a total of 5538 stocks. The YTD return is 13.59%. The 1-year annualized return is 21.65%. The top 5 stocks in its holdings as of third quarter of 2013 are Nestle SA, Royal Dutch Shell plc, HSBC Holdings plc, Roche Holding AG and Novartis AG. The top region allocations are Europe (45.60%), Pacific (28.90%) and Emerging Markets (17.90%). Invest in index ETF is a no brainer. 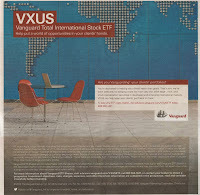 With vanguard ETF, you might get low expense fee as well. This new ETF fund performance is closely related to its benchmark. It is great for long term diversification and any accounts (i.e. brokerage, retirement or 401(k) account).